Physio taping is a treatment for many acute conditions, such as ankle sprains and strains, athletic injuries and muscle spasms, as well as chronic conditions, including low back pain, headaches, shoulder stiffness, and even allergies. The tape activates the nervous and circulatory systems, using the body’s own natural processes to foster healing. This method of treatment recognizes the importance of body and muscle movement and how they play a role in health and everyday life. Of course, muscles control how the body moves, but they also control blood flow, body temperature, and lymph flow. This means that the failure of muscles can be linked to many kinds of health problems. 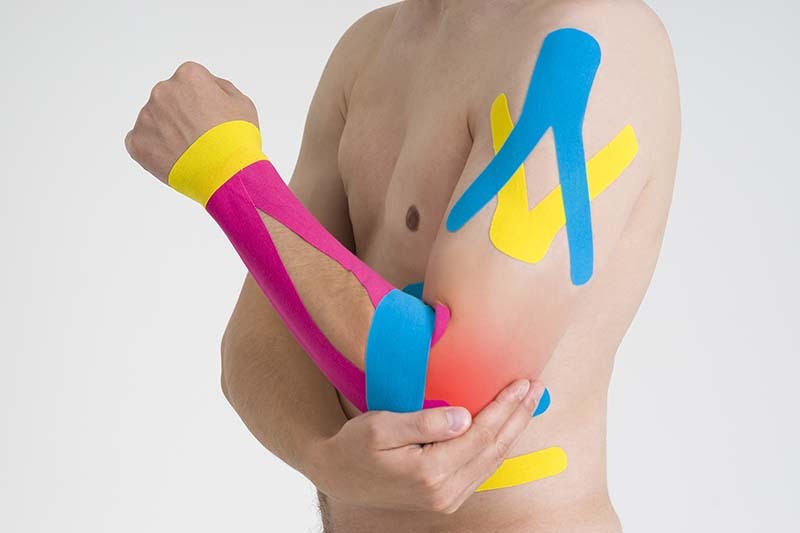 Physio tape has four main functions: support muscles, remove congestion and inflammation, activate the body’s pain control system, and to correct joint and tissues. Physio tape supports muscles by helping them contract when they get weak. It also stops the muscle from over-extending or over-contracting, which causes inflammation. Muscle fatigue, cramping and/or injury can be avoided when the muscle isn’t over-extending or contracting. The tape reduces pressure in the muscle, decreasing inflammation and pain signals to the brain. The tape reduces muscle spasm by relaxing tight muscles, relieving joint pain and dysfunction. Interested in learning how physio taping could work for you? Get in touch with our skilled chiropractic practitioners!